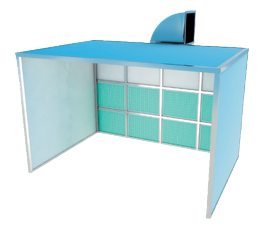 Open front spray booth, with three different size options, all with top rear exhaust ventilation systems. 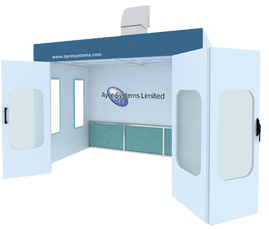 Curtained front spray booth, with PVC curtains, top rear exhaust ventilation system with rear and ceiling filters. 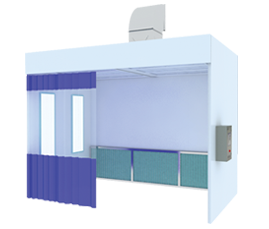 Three of Four folding door spray booth, with top rear exhaust ventilation system with rear and ceiling filters.